After Huawei, Google, and LG all made improvements to their smartphone cameras last year, a new report by The Korea Herald claims that Samsung heir and Vice President Lee Jae-yong personally requested impressive camera specifications on the Galaxy S10 lineup. According to an unnamed Samsung executive familiar with the matter, the Vice President first questioned Samsung’s camera performance during a visit to Europe last year. When speaking to employees and retailers in the region, many of them favored iPhones over Galaxy devices due to the former’s camera features. Since then, it’s reported that the South Korean giant has been hard at work improving upon photography features that were previously considered the company’s weaknesses. In addition to this, it was suggested that some modifications have been made to the way colors are reproduced. More specifically, it seems the Galaxy S10 models will favor realistic color interpretation over vivid colors. If past rumors are to be believed, the Galaxy S10 series will follow in the footsteps of last year’s Galaxy S9 models by feature variable aperture 12-megapixel cameras on the rear. This time around, though, improvements to both daylight and low-light photography are to be expected. The primary sensor will reportedly arrive alongside a secondary 16-megapixel alternative which should include a wide-angle lens. 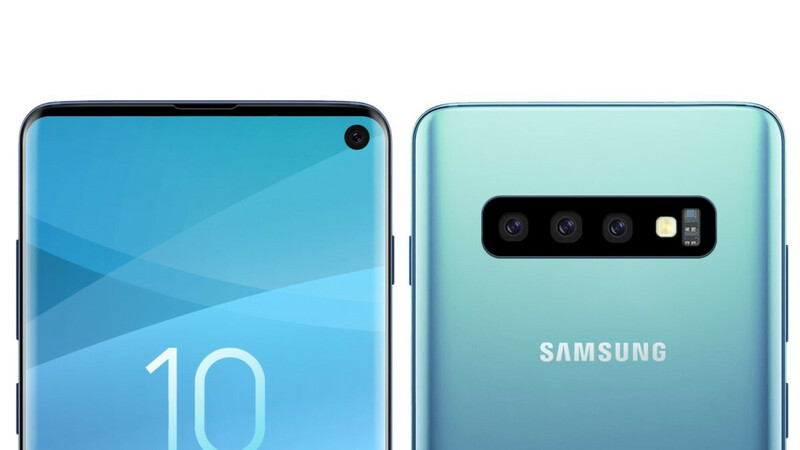 The addition will mark the first time such a camera has been included on a Samsung flagship and means consumers will be able to capture a lot more in their images. Lastly, a third 13-megapixel sensor coupled with a telephoto lens is rumored for the Galaxy S10 and Galaxy S10+ (S10 Pro). Like the Galaxy Note 9 and Galaxy S9+ that precede it, this should allow for 2x optical zoom. Sammy still 2x optical zoom meanwhile Oppo working in a 10x optical zoom. Hard times for the big ones. Personally "requesTED" not "personally request". Basic proof reading iPA....common. And *proofreading. One word, man. Come on, Phonehex! hahaha those were exactly my options and I accidentally did a hybrid. All fixed now! Thanks for noticing! As for Phonehex, I see the "basic" proofreading (not two separate words) is going well for you... "Common"
@Joshuawingle It's so nice to see that you are such a professional. I've lost all trust in these smartphone makers and reviewers. Every year they promise improvements in image quality, but when you finally try the real thing, you notice that nothing much has changed. They just keep increasing the price of phones every year for nothing. Improvements happening every year with cameras. Of course the changes are minor because how you can improve a very good quality photo already? It's like comparing $200 guitar to $2000. The difference for you is propably very small, for people who play guitar the difference is big. So if you don't see the improvements it doesn't mean no-one can see. Guitars and cell phone cameras are VASTLY different things. I’m not sure why you went there. I’m a professional guitarist, by the way. Companies like Samsung want to be the best, not one of the best. It wasn't long ago when Samsung had arguably the best camera smartphones on the market, but for the past 2 years, they are mentioned as one of the best, no longer are they mentioned as the best. As a Note 9 owner, I would take the Pixel 3, XS, Mate 20 Pro, XZ2 Premium, even the 8 months old P20 Pro's cameras over the Note 9 and S9+ cameras. They're not weak by any mean, but the competition has surpassed them and I'm glad that they want to get back on top of that pyramid again. Because three words: cost-cutting and investors. You let investors do the dance and quality will suffer. Dj Koh know that very well, maybe he even got a little scolding from the samsung owners. 12mp has been done. Give us a small megapixel boost and a larger sensor. Why not? "...many of them favored iPhones over Galaxy devices due to the former’s camera features." - OMG, that says a lot :))) A lot! Maybe that made the vice president annoyed at samsung managers and camera engineers. Yes, maybe. Although cameras of Samsung phones have become quite good in the recent years. "it was suggested that some modifications have been made to the way colors are reproduced." Finally! I am hating the slightly blurred with yellow tints and crappy front cam pictures from my s9. If I can contact the vice president, I will tell him that I use google cam app just to make my s9 pictures look sharper and better. If they wanted true improvements, they should use a single camera but with a larger sensor like 1/1.7". 12MP is enough but pixels need to be larger. Using small sensors will only get them so far. Lenses also play a big role, hopefully Samsung will improve the optics, the dual-aperture S9 optics lacked true optical quality. But first of all, remove the damn CHIN already to quit appearing lame to the likes of Apple ! I love the cameras on my N9 but I gotta agree the software is a sticking point for reaching that top spot in quality.